Our blog is set up to give you latest news about wine offers as well as Wines Direct. Laithwaite's Wine are offering savings of up to £34 on cases of 12 bottles in their Black Friday Mega Deals which see some of their big-hitters such as the Aussie Shiraz Brass Monkey, Cabalie and Waxed Bat at £6.99 a bottle! On top of this, you'll receive a free bottle of Black Stump and limited edition Black Stump glasses, and free delivery! STOP PRESS!!! 20% Off New Zealand Sauvignon Blanc - 3 DAYS ONLY!!! STOP PRESS!!! 20% Off Rioja - 3 DAYS ONLY!!! Waitrose Cellar are giving away a FREE bottle of Champagne with every order over £100! Depending on how much you spend, you could receive Charles Lecouvey, Waitrose Special Reserve 2005 Vintage or even a 1.5L magnum of Pol Roger! You'll need the voucher code which you can find by clicking below, terms and conditions apply, and you'll find these by clicking the link. Offer ends Tuesday 28th November 2017. Fill yourself with Christmas Spirits! We've worked with Masters of Malt for more than five years now, they have the ability to seek out Wines and Spirits that only a specialist could find, at prices that put most supermarkets to task! Their range of alcoholic advent calendars featured heavily in our recent email, and for good reason. You've still just about got time to place your order, so don't delay any longer! STOP PRESS!!! Fancy yourself as a spirits artiste?! Why not try their unique 'Build your own Calendar engine!? Marks & Spencers are a go-to brand when it comes to luxurious treats and the highest quality nibbles on the High-Street. Their superb selection of Christmas gift-boxes and hampers speak for themselves and there's a range of prices to suit every pocket. Some merchants will artificially inflate prices before Black Friday, some will find a deal that helps clear their warehouse ready for the Christmas stock. Not ASDA. 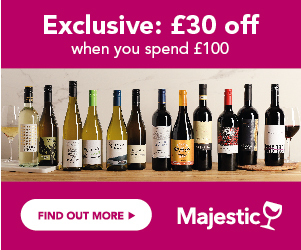 Their 6 for £25 offer is a consistent winner with you, and when it includes their well-received Prosecco, Aupouri Sauvignon Blanc and Wolf Blass at £4.17 a bottle, it's not difficult to understand why. Stock levels fluctuate throughout the day, so if it's not there when you first look, make sure you check back. What's the best food & wine pairing to celebrate Easter? Choose your favourite amongst our four propositions on Facebook for the chance to win £150 voucher to spend as you wish at Waitrose Cellar. Hurry, competition closes midday Monday 4th April 2016. The rules Please do contact us if you have any question and we'll be happy to help! This competition ran from the 23/03/2016 until the 04/04/2016 11:59.